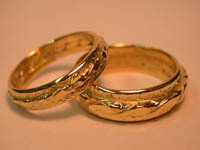 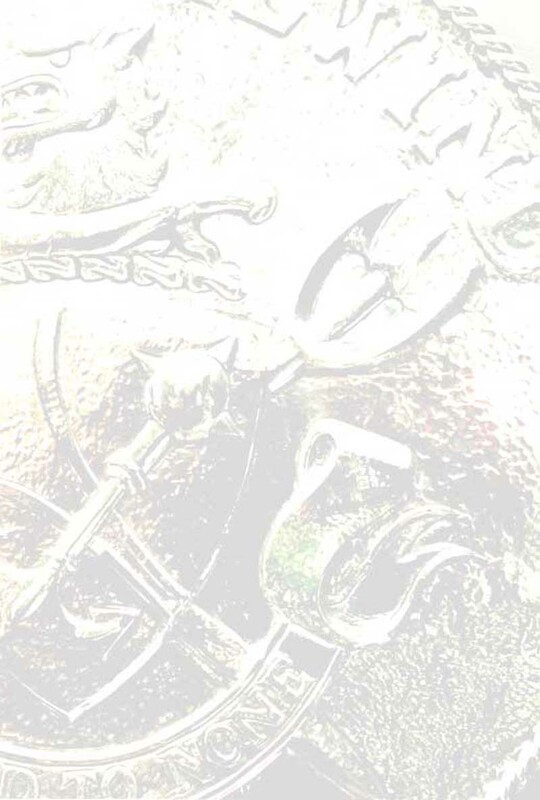 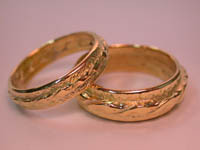 The rings shown below were made by the artist for his son and daughter-in-law in December 2001. 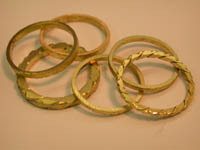 The bride's ring needed to be able to sit alongside an antique-style engagement ring, and the two rings are similar in style although the outer bands differ in their pattern. 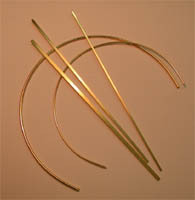 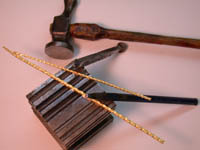 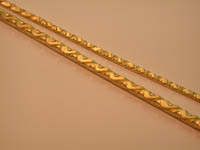 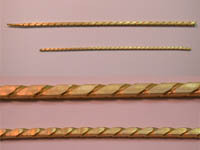 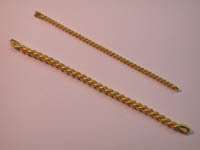 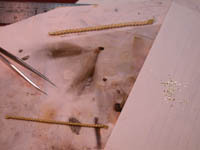 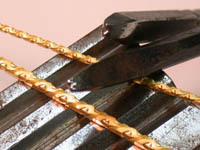 The center sections were made from twisted wire, with flat bands on the sides to complete the rings.